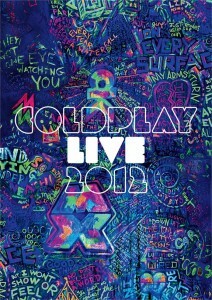 With British supergroup Coldplay landing on our shores this November for four big shows across the East Coast, the timing couldn’t be more right for EMI to release a live CD/DVD. ‘Live 2012’ will actually hit retail while the boys are on Aussie soil and captures the ‘Mylo Xyloto’ show in all its glory, with footage filmed during as the tour weaved its way across the world. Chris Martin explains the reasoning behind the release of their first concert film and live album for almost a decade. Director Paul Dugdale reveals more.